Galapagos 8th Grade Trip to Washington D.C.
$200Pay for non air and room expenses for one scholar. $350Pays for the airfare for one scholar. $800Pays for all expenses for one scholar. Founded in 2009, Galapagos Rockford Charter School was created to serve as a top-quality educational option for children in Rockford, IL. Our goal is to ensure that every one of our scholars graduates from a 4-year college. We believe that one of the key ways to ensure equitable opportunities in education is to actually provide programming that would compete with some of the top schools in the country. This is the genesis of our Project Passport program in which we send scholars to locations that they would not normally have the opportunity to visit. In 2019, Galapagos Rockford Charter School will send our fifth class of 8th grade scholars to Washington, D.C. for three days in June. Scholars will be immersed in the history and culture of our great nation. For some of our scholars, who rarely travel out of their own neighborhood, this trip could be nothing short of a life-changing experience. 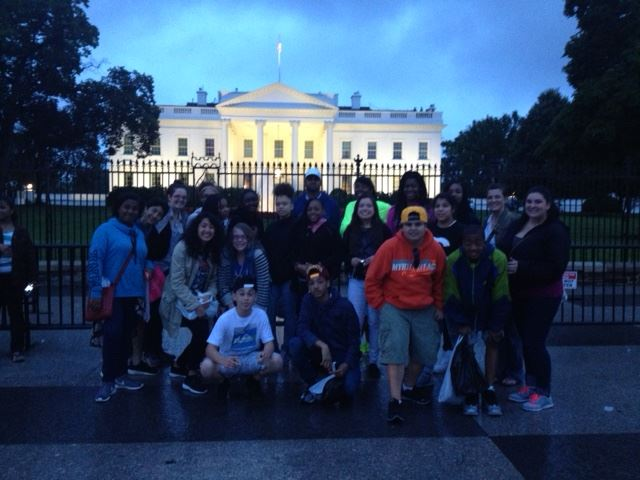 Scholars will visit Congress, Arlington Cemetery, the Washington Mall and a variety of other sites. Over the years, we have been in the right place at the right time and have had the opportunity to see the Vice President of the United States and even the Dalai Lama. This amazing educational opportunity, will not be available to our scholars without your assistance. Through this website, you can help us in our fundraising efforts as we push to raise the money to provide our scholars with this vital experience.